Mike Manzoni reports from the South Shore Plaza in Braintree, where shoppers are taking advantage of the tax-free weekend in Massachusetts. 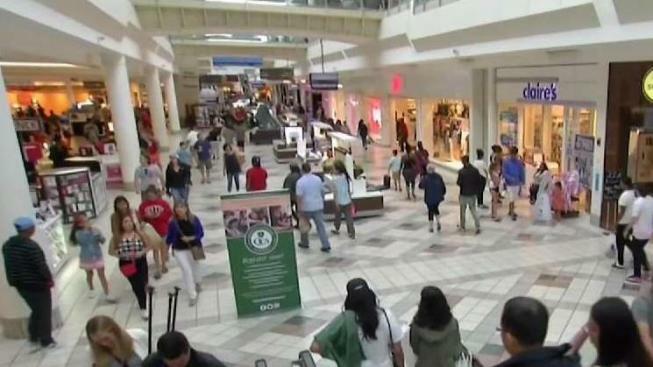 Thousands of shoppers packed South Shore Plaza in Braintree, Massachusetts, on Saturday, hoping to score deals during the tax-free weekend. The tax-free holiday weekend comes at a time when a lot of shoppers are also hunting for back-to-school deals. The mall said those two factors drove crowds into stores. Several stores were crowded, including the Apple store, where a line stretched outside the entrance. "I just got something exciting for my niece's Sweet 16," said Nelson Andrade. "So, like $1,700. I saved probably a couple hundred bucks." Other shoppers figured it was a good way to spend a rainy day. "I needed to get the kids out of the house, and I didn’t really look for deals," said Matt Bielack. "I just got a couple random things." The mall is also offering $25 gift cards to anyone who spends $150 or more at select stores.